All Hail the Islamabad Metro Bus! Slightly over a year ago construction work started in Rawalpindi and Islamabad. Construction work is nothing new around here – Pakistan’s population is growing rapidly and houses are constantly being enlarged, with office blocks and malls mushrooming in similar profusion. But this construction work was on a different scale. 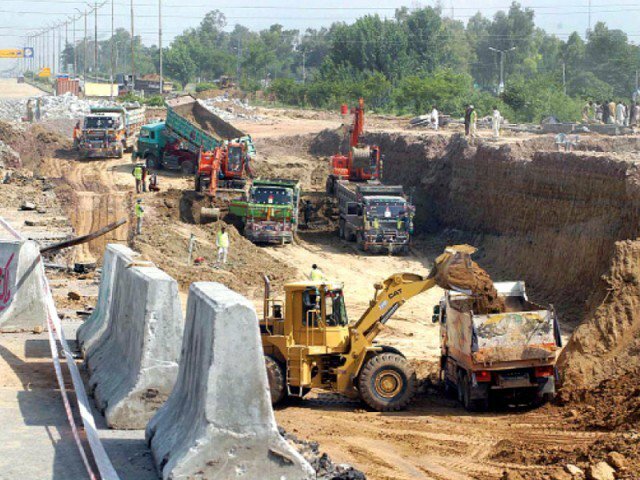 Some of the most important roads in Rawalpindi and Islamabad – Murree Road, 9th Avenue, the Kashmir Highway, Jinnah Avenue – were torn up, more or less at once. That’s perhaps half of the most significant roads in the capital of Pakistan rendered unusable overnight. Predictably, chaos ensued. Real, genuine chaos. Journeys that would previously have taken twenty minutes took an hour or more. Dust clouds erupted from the construction sites. When It rained – and last winter it rained a lot – the dust turned to mud, and cars slipped and slid across the cities. 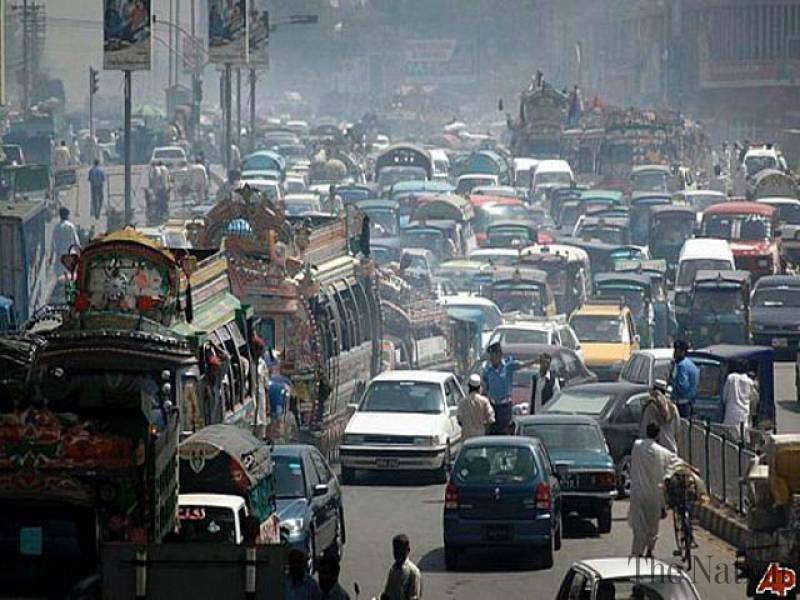 I remember one on particular evening travelling from southern Rawalpindi to central Islamabad, and spending nearly two hours in a clunky, smelly taxi, stuck in traffic, surrounded by thick clouds of choking dust and the constant blaring of horns. If Dante added more circles to his vision of hell, that would have to be a prime candidate. Now, though, all is forgiven. The metro bus is here! If you’re wondering what a metro bus is, here is an explanation: it is a transport network, with a single dedicated roadway and stations along the way. Only metro buses can use it, meaning that there is never any traffic. Thus the journey from southern Rawalpindi to the centre of Islamabad is reduced from an hour or more to a mere 30 minutes. And that’s not all. That journey of an hour or more would have been spent jammed into an uncomfortable, crammed minibus, with no air conditioning, no comfort, and no space for luggage. These minibuses are incredibly unsafe, badly driven, and hellishly uncomfortable. In their place we have brand new Turkish buses, spotlessly clean, with air conditioning and automatic doors. They leave every minute – miss one, and you only have to wait for sixty seconds for the next. And even THAT’S not all. The stations are fully automatic: you simply beep your token or card against the terminal and you can walk straight through. A ticket for any single trip costs 20 rupees (roughly $0.20). No queues, no bother, no stress. Even the stations are wifi-equipped. The metro bus is now my preferred form of transportation. It is completely effortless and utterly wonderful. Complaints have been raised about its cost – and to be honest it cost an absolute bundle, perhaps $400 million, with the usual accusations of corruption and nepotism (to give an example, the contract for providing the stations with flowers and trees was given to a company run by the brother of a government minister) – but these seem churlish in light of the fact that the capital of Pakistan now possesses a public transport system that, honestly, would not be out of place in any city in the world. It’s an odd feeling, in a country where so much is neglected, poorly-maintained, shoddy, broken, or generally worn down, to use a publicly-funded amenity which is genuinely world-class. 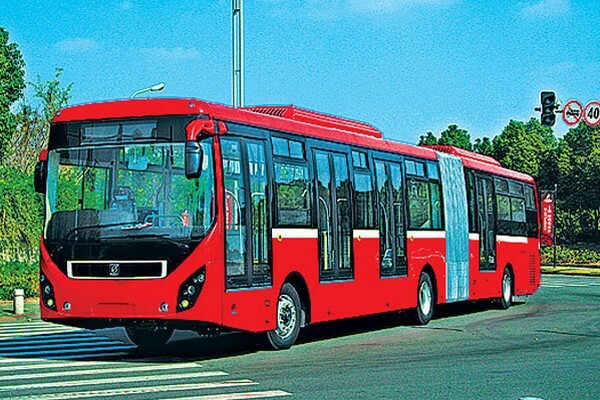 God bless you, Metro bus, and may you bring joy and ease to many millions of Pakistanis. Only $400m and completed in a year? An absolute snip! I’m a great fan of tram systems but the Edinburgh tram line (one route, airport – city centre, 8 miles) cost around $1billion and took 6 years to complete. Perhaps a better comparison is the Cambridge guided bus system which runs 16 miles from Huntingdon to Cambridge, largely on the old railway line. It reverts to being a regular bus through the city centre, competing with all the rest of the traffic which rather dilutes its advantages. This took a mere 4 years, although it was planned to take two and a half years and cost $220m against a budget of $100m.Unfortunately, there are some serious maintenance issues which may require the entire concrete bed to be relaid, so who knows what the true cost will be? With six buses an hour, it doesn’t quite compete with Islamabad’s 60 sec service but it does have free wifi. Finally, and according to a rail pressure group, the journey times are significantly slower than an 1869 steam train! Why was it built? The government, who paid 80% of the cost, saw it as an experiment in alternative transport systems and the availabilty of an intact but disused railway line was very appealing. It’s a useful amenity but by the government’s own yardstick, poor value for money. Well that certainly puts things in perspective! It reminds me of the Luton-Dunstable bus system which was built after we left – and after much arguing it was finally completed, vastly over budget. I don’t know how it has been used but I think on the “value for money” scale it doesn’t score highly at all. How cities will go about producing mass transit systems in the 21st century remains to be seen. There’s a lot to be said for building things in places like Pakistan: the planners don’t have to put up with legal challenges or environmental concerns, which helps to speed things up significantly!